Gen Con 2016 was amazing for us. We are back and full of energy and excitement about the array of product coming your way from us in the months ahead and over the next year. I don’t know if it was the atmosphere at Gen Con itself or the energy generated by talking with a wide array of gamers about our plans for Robotech®, Robotech® RPG Tactics™, Rifts® and other projects, or a combination of the two, but we all came back from Gen Con brimming with enthusiasm. Even the drive to and from Gen Con was an adrenaline rush of ideas and brainstorming. I was so pumped up on Tuesday (we got back late Monday afternoon), that I got to the office early and posted a note on my door that read: “Can’t talk. Hot writing!” I didn’t emerge from my office until 6 hours later to eat lunch and discuss the many ideas and plans I had been jotting down. I want to thank the many fans with whom we confided, and who shared their ideas, experiences and suggestions. Your feedback and input were inspiring and helpful, as always. 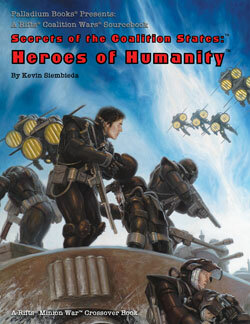 Rifts® CS Heroes of Humanity was a hot seller at Gen Con and continues to be our Number One selling sourcebook online and in stores, and that’s according to Palladium’s distributors. That’s great, because Rifts® Heroes of Humanity — along with CS Arsenal and The Disavowed — are setting up something truly huge for Rifts® that happens next year. Every single Rifts® fan Carmen Bellaire or I told about the upcoming Rifts® board game was blown away by the news and wanted it as soon as they can get it. I hope you feel the same way. Like the fans, we have been blown away by Carmen’s and his sculptor’s work. Some lucky people even got to see some of the impressive digital sculpts on Carmen’s laptop. Game pieces already done for the game are Coalition soldiers, the Glitter Boy, Juicer, Red Cyborg, and a cigar smokin’, gun totin’ Grackle Tooth, with more in development. 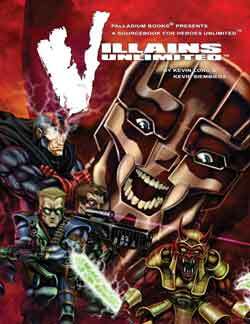 The as of yet untitled Rifts® Board Game is fast, fun and straightforward. Carmen’s game mechanics and designs truly capture the look and feel of Rifts®, but it is fun whether you are familiar with Rifts® or not. And the 28mm heroic size miniatures by Ben Calvert-Lee are absolutely brilliant. Full of life and power. 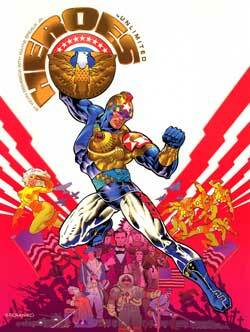 The premise: Heroes, mages and D-Bees fight Coalition forces to stop a purge of the Chi-Town ‘Burbs! 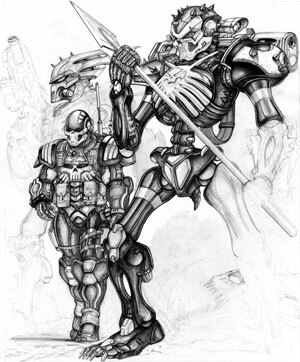 This is one of the secret projects that have been going on behind the scenes here at Palladium Books. I agreed to award this license to long time Palladium freelance writer and game designer, Carmen Bellaire, last summer. Carmen has been working toward starting his own game company for many years now. When not writing books for Palladium Books like Splicers®, Rifts® Black Market, and the Powers Unlimited® series, Carmen has been developing games for Upper Deck Entertainment Division and other game companies. When he asked to create a Rifts® board game I said yes without hesitation. I’m glad I did, because this has been a labor of love by Carmen and the lead sculptor, Ben. And it shows in their work. 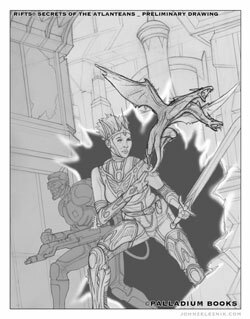 Carmen Bellaire expects to Kickstart the Rifts® board game from Rogue Heroes LLC sometime early next year. Of course, Carmen and his crew are doing all the heavy lifting. Palladium’s role is making sure the project is true to Rifts® (it is, as Carmen knows Rifts® inside and out) and approval of finished art, miniatures, design elements, text and rules. We have also pointed artists at the project. I think we are as excited to see this game launch as anyone. And what we have seen so far, wow. All the positive feedback we received about Robotech® RPG Tactics™ has energized us. Demos were going on nonstop at the Palladium Booth thanks to Game Masters Thomas Roache, Jeff Ruiz and Robert Shewring. People had fun and RRT product sold very well. The scheduled Robotech® RPG Tactics™ game events were also loads of fun. A late entry Robotech® RPG Tactics™ game hosted by Peter Pidrak featured a battle on the outer hull of a 16 foot long SDF-1!!! The SDF-1 was an impressive sight to see, and from all accounts, the five hour long game was epic fun. Thank you, Peter, for this last minute, unexpected thrill for us and the players. We knew Peter was working on this incredible playing platform, but had heard he wouldn’t have it done in time for Gen Con. We and many others were surprised and pleased to see otherwise. Talk about a heroic effort to wow fellow Robotech maniacs. Support for Robotech® RPG Tactics™ was overwhelmingly positive, which was a welcomed surprise considering the delays with the ambitious RRT project. Palladium Books is gearing up for the relaunch of Robotech® RPG Tactics™ and the release of Wave 2 pieces in 2017. Getting a few quotes and focusing in on a number of areas for Robotech® RPG Tactics™. This ain’t just talk. 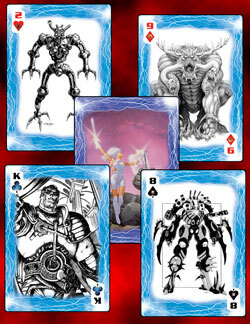 You will be seeing things beginning to appear on the Palladium Books website and DriveThruRPG (like the Wave 2 paper game pieces that went up a couple weeks ago), Wave 2 cards (first for download, then for print on demand), the RRT rules, and more, while we move toward actual physical release. Along those lines, fans we spoke with were happy to see the rough draft for a RRT scenario book and hear our plans for more Robotech® RPG sourcebooks coming in 2017. I also spoke to some folks about helping us get organized play events together. We will be offering details and hard release dates when we have them. Crackle is a rapidly growing, free, digital network that has been airing the original Robotech® episodes with tremendous fan response. The Robotech® TV series has consistently ranked as Crackle’s Number One Anime and often in the overall Top Ten, giving a new generation a chance to discover Robotech®. I wanted to share this information with you so you can binge watch Robotech® from beginning to end or catch your favorite episodes anytime. You can find great inspiration for your Robotech® games watching old episodes. 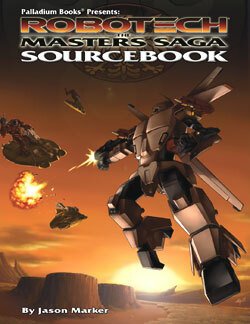 People are loving the new, larger, Robotech® The Masters Saga™ Sourcebook in the 8½ x 11 format. 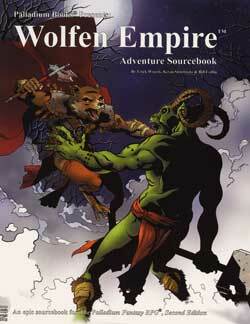 It was one of our best selling items at Gen Con. This book looks soooo good and is packed with all kinds of gear, mecha, battloids, power armor and information about the Army of the Southern Cross and its 15 combat divisions. Available now. We are so pumped up about Robotech® RPG Tactics™, Rifts® and Gen Con® that we want to celebrate by keeping the fun going with this unprecedented, but very short, sale of select Robotech® and Rifts® items. Friday night, Saturday and Sunday you can purchase the following Robotech® and Rifts® products at a massive discount! Something special to put a smile on the faces of those of you who could not make it to Gen Con. Be positive, enjoy and spread the word about this crazy sale – one weekend only. Ends Sunday, August 14, 2016, at midnight. Robotech® and Rifts® are getting hotter than ever, so snag this deal before it is gone. Tell your friends and game on. Robotech® RPG Tactics™ Core Box Set (Main Game) – Cat. No. 55100 – $59.97 (normally $99.95) – one weekend only! Robotech® RPG Tactics™ is a fast-paced, tabletop combat game that captures the action and adventure of the Robotech® anime – Sale ends Sunday, August 14, at midnight! UEDF Valkyrie Wing – Cat. No. 55201 – $22.17 (normally $36.95) – sale ends Sunday at midnight! 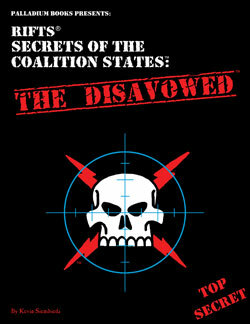 UEDF Tomahawk/Defender Destroids – Cat. No. 55202 – $19.77 (normally $32.95) – sale ends Sunday at midnight! UEDF Spartan/Phalanx Destroids – Cat. No. 55203 – $19.77 (normally $32.95) – sale ends Sunday at midnight! Zentraedi Regult Battlepods – Cat. No. 55401 – $22.17 (normally $36.95) – sale ends Sunday at midnight! Zentraedi Artillery Battlepods – Cat. No. 55402 – $22.17 (normally $36.95) – sale ends Sunday at midnight! Zentraedi Glaug Command – Cat. No. 55403 – $22.17 (normally $36.95) – sale ends Sunday at midnight! 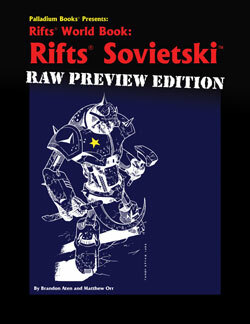 Rifts® Ultimate Edition – Core Rules – 376 pages – Cat. No. 800HC – $23.97 (normally $39.95) – sale ends Sunday at midnight! Rifts® Megaverse® in Flames – 192 pages – Cat. No. 876 – $14.97 (normally $24.95) – sale ends Sunday at midnight! Rifts® Heroes of Humanity – 160 pages – Cat. No. 889 – $12.57 (normally $20.95) – sale ends Sunday at midnight! Rifts® Final Siege – 224 pages – Cat. No. 844 – $7.95 (normally $24.95!!!) – sale ends Sunday at midnight! The Rifter® #73 – all “official” source material – 96 pages – Cat. No. 173 – $8.37 (normally $13.95) – sale ends Sunday at midnight! 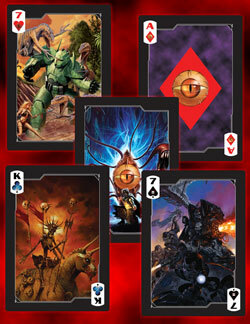 UPDATE: Rifts® Poker Decks a hit at Gen Con – available now! The two Rifts® Poker Decks were a hit at Gen Con, with Rifts® fans and Savage Worlds fans alike commenting on how beautiful the two decks are. I know Clint Black snagged a pair for the Rifts® Savage Worlds demos he was running all four days at Gen Con. Most people have been scooping up both Rifts® poker decks. Sometimes even buying two of each. Nice. They are handsome, fun, and useful items to own. Both are currently only available from Palladium Books. 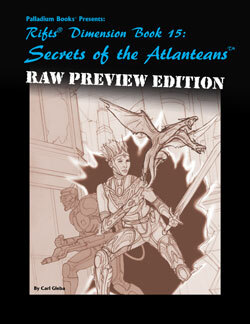 Rifts® Dimension Book: Secrets of the Atlanteans™ and Rifts® World Book: The Sovietski™ were both hot items at Gen Con for us. Both sold around equally well and elicited a lot of smiles, oohs and ahhs, especially Atlanteans with its background on Atlantean tribes and the addition of Crystal and Shadow Magic. The Sovietski™ is the bigger of the two books so I don’t think all the nuggets of goodness in that title have been uncovered yet. Both are available now, only in Palladium’s online store. Each collector’s preview edition is limited to 150 copies (half sold at Gen Con) and available on a first come, first served basis, while supplies last. Get them while you can. See the full description elsewhere in this Update. One of the top selling product lines at Gen Con and continuing with strong online sales this week has been back issues of The Rifter®. We all love The Rifter® – part fanzine and part sourcebook and unlocked imagination – and happy to see such strong sales, but the sudden spike in the week before Gen Con, during Gen Con and continuing into this week has been a welcomed surprise we cannot explain. 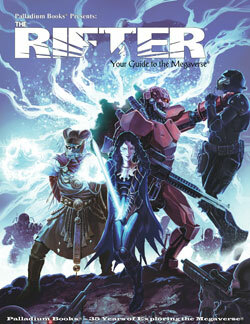 I have to guess that part of it is because The Rifter® #74 is another great issue in a long string of great issues. With the recent Rifter #73 containing ALL official source material, and The Rifter® #71-72 being a combined 224 pager, creating new buzz and excitement about The Rifter® sourcebook series. I think The Rifter #75 and #76 will continue that excitement, especially for Splicers® fans as the current Splicers® adventure and source material continues to please and wow. 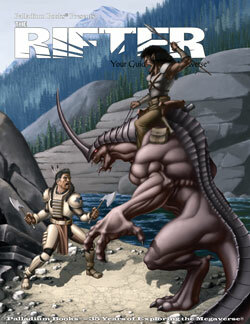 The Rifter® #74 is a fun issue with unique game settings for Rifts® and Splicers®. 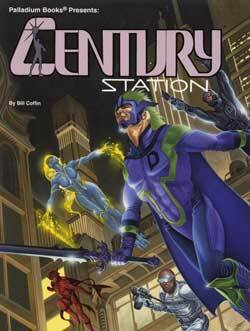 Two-thirds of The Rifter® #74 is “official” source material for Rifts® and Splicers®. Another great issue filled with game material and great artwork to inspire your games. Available now. Most of us have spent the week in meetings and catching up with work and correspondences since returning from Gen Con. But Chuck Walton is already back to finishing up the last two chapters in his sprawling Splicers® adventure source material for I am Legion. Still shooting for an August release but might slip into September. Both Wayne and Chuck are working on material for both The Rifter® #75 and #76. I had the pleasure of meeting Jodi and Clint Black. Jodi is Pinnacle’s “supergirl” who seems manage ... well, a lot. She is great to work with and we had communicated via a zillion emails and spoken on the phone, but had never met in person until Gen Con. It’s nice to put a face to the voice. Clint was the Rifts® Savage Worlds demo-guy who seemed to be running non-stop demos throughout the convention. I heard a lot of positive buzz from people who participated in some of those demos as well as from folks who had backed the Pinnacle Kickstarter. I was a bit surprised not to see a big Rifts® Savage Worlds poster or handouts announcing its impending arrival early 2017, but the game definitely had a presence. 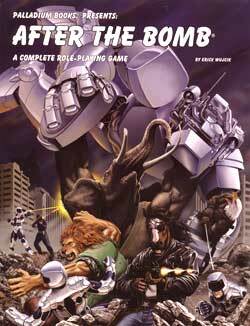 Robotech® RPG Tactics™ Wave 2 Paper Game Pieces recently joined Rifts® World Book 29: Madhaven™, Rifts® Ultimate Edition and 160+ other PDF titles, RRT stuff, G.M. helper kits and free material on DriveThruRPG.com right now! More Rifts®, Robotech® and other Palladium game titles, paper miniatures and fun coming to PDF in the weeks and months ahead. Watch for them. 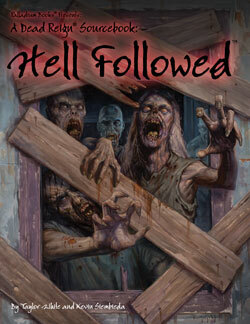 Recent PDF titles include Rifts® Ultimate Edition, Rifts® World Book 29: Madhaven™, Rifts® World Book 28: Arzno™, Rifts® World Book 27: Adventures in Dinosaur Swamp, Rifts® World Book 26: Dinosaur Swamp, World Book 25: Rifts® China Two, and World Book 24: Rifts® China One, among many, many others. There are also previews of Rifts® CS Heroes of Humanity™, The Rifter® #73, Northern Gun 1 & 2, Lemuria, Rifts® Vampire Kingdoms, Bizantium and many other Palladium titles. Check back every week to see which new PDFs of Rifts® World Books and other titles have been added! Rifts® Ultimate Edition, Rifts® World Book 29: Madhaven™, Rifts® World Book 28: Arzno™, Rifts® World Book 27: Adventures in Dinosaur Swamp™, Rifts® World Book 26: Dinosaur Swamp, Rifts® World Book 25: China Two, Rifts® World Book 24: China One, Rifts® World Book 23: Xiticix Invasion, Rifts® World Book 22: Free Quebec, Rifts® World Book 21: Splynn Dimensional Market, Rifts® World Book 20: Canada, Rifts® World Book 19: Australia, Rifts® World Book 18: Mystic Russia, Rifts® World Book 17: Warlords of Russia, Rifts® World Book 16: Federation of Magic, Rifts® World Book 15: Spirit West, Rifts® World Book 14: New West™, Rifts® World Book 13: Lone Star™, Rifts® World Book 12: Psyscape™, Rifts® World Book 11: Coalition War Campaign™, Rifts® World Book 10: Juicer Uprising™, and Rifts® World Book 9: South America 2 along with World Books #1-8 and various other Rifts® titles. I will continue to pull things out of my personal collection and Palladium archives. A bunch of toys have been added to my online store with more to come. Gen Con felt special this year. More special than usual. There was an electricity and buzz in the air the entire event. We received a lot of positive fan feedback on all fronts, and got to visit with many industry and fan friends. It was cool that Kenzer & Co. (the company that publishes Knights of the Dinner Table) was directly across from the Palladium Books booth. That meant I got to hang with my pal Jolly Blackburn more than usual. Carmen Bellaire hung out at the Palladium booth a lot too and was in especially good spirits. That was nice to see, because he has gone through a lot the last couple of years and has been working like a fiend. Of course it is always pleasant to have friends and booth helpers like Brandon and Sarah Aten, Madman Mike Leonard, Jeff “NMI” Ruiz, Mark Oberle, and Tom Roache at the booth. Not to mention pitch-hitting helpers and friends like Glen Evans, Robert Shewring, Mike Silva, Kyle, Dan, Peter, Matt, the Brown Family and others. It is wonderful to see friends like Larry Elmore, Jolly Blackburn, Dave Kenzer, Bryan Layton, Tyler Walpole, Taylor White, Amy Ashbaugh, Juan, Jason, Meredith, Pauline, and Connor, James and Diane, among many, many others. One morning I swung by the Ninja Division booth to take some photos of it before the exhibitors’ hall opened, but never managed to make it back say hello to the guys. Heck, that’s true of several companies I meant to visit. I think it was a very busy convention for everyone. One of the things I love most about any convention is talking with the fans from around the world. There were some great fan moments, some touching, some funny, all wonderful. We must have signed hundreds of books, took dozens of photos and had many photos taken with fans. We made some new friends and acquaintances this year, too. All in all, it was a wonderful event. Heck, it is Friday and I’m only now starting to come down from the Gen Con buzz. I hope to see all of you again at Gen Con next year. Take advantage of the short sale fueled by my Gen Con buzz, be excited about the products available now like the Rifts® Raw Editions, Robotech® Masters Saga and Rifts® Poker Cards, watch for all the new stuff coming in the months ahead, and the big stuff coming for Robotech® and Rifts® (among others) next year. Please have a great weekend and always keep those beautiful imaginations of yours burning bright.